ADM’s Nationalistic Progressive Ideology: Political Implications Edward Y. Odisho, Ph.D.
During the last three decades or so our Assyrian Chaldean Suryani People, especially in Iraq, where their population is larger and whose conditions I am more knowledgeable about, entered a different phase of nationalistic and political awareness and maturity. There are several reasons to account for this, foremost of which are the following. First, they secured higher levels of education ranging from high school to doctoral. Second, they gradually began to sense political and social discrimination. Third, with the deterioration of the most salient features of their nationalistic identity – such as their language and culture as an indigenous People of Iraq, they began to develop the feeling that their very identity and existence were in danger of extinction. Fourth, the successive Iraqi governments officially denied their status as a people; instead, they identified them as Christians or Syriac Speakers. In face of this, when the Iraqi government, for obvious political reasons, granted the Assyrians, Chaldeans and Suryanis the so-called ‘language and cultural rights’ in 1972 which lasted only a few years, the younger generations, especially university students and former graduates, feverishly embarked on forming social, educational and cultural clubs and organizations to promote nationalistic and political awareness. Foremost among such organizations was the Assyrian Cultural Club– which was very reminiscent of the Assyrian Youth and Cultural Society of Tehran– where hundreds of high school and university graduates worked together to teach the native language, issue magazines and conduct lectures and theatrical activities. This atmosphere was very conducive for overt and covert nationalistic political activities, both within the clubs and out on the campuses of the universities. Because the Ba’ath government sensed the growth of such nationalistic sentiments, it began to monitor those activities openly and secretly. When the suppression of such nationalistic sentiment intensified, the activists went underground. With this underground trend, clandestine networking began in the form of cells which soon developed into what is known today as the Assyrian Democratic Movement (ADM). It is my strong conviction that with the emergence of ADM, gradually, albeit steadily, the ingredients of a political nationalistic ideology and an image of a long-term strategy began to emerge. We are the descendants of Sumerians, Assyrians, Babylonians, Chaldeans and Arameans and Beth Nahrain is our historical Homeland. We are, therefore, the indigenous and the most ancient people of Mesopotamia. We are builders of an ancient civilization which empowered us to lend some of its fruits to other neighboring peoples including Greeks, Persians and Arabs who all borrowed our alphabet the most efficient tool of human literacy. We established our civilization using Akkadian (Assyrian and Babylonian) language and extended it after the downfall of Assyrian and Babylonia through Aramaic until this very day. We are the first Christians and our Aramaic language is the native language of Christianity prior to Greek and Latin. We are, therefore, Christians before we became “Nestorians”, Oriental Orthodox, Eastern Catholic and Protestants. We aspire the Unity of all Aramaic (Syriac) speakers of today including Chaldeans, Assyrians and Suryanis. Our Unity is the corner stone of our survival and success now and in future..
We call for the recognition of our national identity as a People in modern Iraq on historical, civilizational and democratic premises not as a charity bestowed upon us by others. We live all over Iraq and not just in the Kurdish Region. We appreciate our cordial and friendly relationships with all nationalities including Arabs and Kurds, but we reject being a subordinate or satellite of other nationalities. We have always been reliable friends and allies with those who put their trust in us. We reject being recognized only as a Christian minority which implies the treatment of our People as Ahlu Al-Thimma (أهل الذمّة). We are part of the National Mosaic of Iraq and we are proud of our Iraqiness; we, therefore, should enjoy all political, administrative, educational, religious privileges. We should have a representation in any democratic government in Iraq, a reality that is compatible with the Universal Declaration of Human Rights. If the above are some of the most salient principles of ADM’s ideology, then one has to ask what the strategy is, if there is one, to put the ideology into action. Participating actively in coalitions with almost all loyal national political parties and organizations of the Iraqi People before and after the collapse of Saddam’s regime. Educating our People through political and nationalistic publications and literature. Pursuing concrete steps to unify our People, the best proof of which is portrayed in the structure of ADM’s leadership and its rank-and-file. The leadership is diversified enough to include Chaldeans, Assyrians and Suryanis. It is even more diversified at rank-and-file level so as to include members of different tribes, geographic regions and religious denominations. Seriously attempting to solidify relationships among all Chaldean, Assyrian and Suryani churches. Holding a Unity Conference in October 2003 in Baghdad to lay the foundation of the Unity of our People. Sharing governance with Kurds as long as the opportunity was extended to ADM as a partner and ally. Promoting National Unity for all Iraqis through political actions and media outlets including television, radio and newspapers. Actively sharing in the burden of running three Iraqi cabinets in the post-Saddam era. Enriching cooperation and unity with our People in Diaspora. Building up a complete schooling system in the native language to reinforce and revitalize the basic foundations of our national identity. Academically and objectively judged, the above actions, measures and achievements do complement each other harmoniously to form an implementation strategy for the political and nationalistic ideology of our People. The willingness of a large number of young and middle-aged people to join ADM as active members. Even a larger number of people from all ages, men and women of different Christian denominations, different geographic regions and different levels of education have extended their support and loyalty to ADM. In fact, a large percentage of our educated people, university degree holders and intellectuals are ADM’s supporters. No political movement or political party among the Aramaic speakers has ever garnered such massive support in 26 years of political struggle. The inclusion of ADM in all the interim governments of Iraq after the fall of Saddam is an indicator of its active political role at both nationalistic and patriotic levels. The international recognition of ADM as a political arm in resolving the crisis in Iraq in pre and post-Saddam era. To cite examples of this type of recognition was the United States’ resolution to acknowledge ADM as a legitimate member of the coalition opposed to Hussein’s regime. Even more recently, the Arab League invited a limited number of delegations of Iraqi parties, movements and organizations to attend the Dialogue Conference in Egypt and ADM was among those delegations that received a direct invitation. How did ADM Win the Trust of our People? Passed the test of underground and clandestine nationalistic progressive struggle. Vigorously participated at local, national and international levels to bring down the regime of Saddam. Had many of its members and supporters jailed, tortured and even executed including some of its founding members. The list of its martyrs increased as it continued its struggle. Successfully managed to protect and establish security in our villages and towns in the Kurdish region after the fall of Saddam. Stood steadfast as an autonomous political movement friendly with all other nationalities, but subordinate to none. Completed many social, health and educational projects foremost of which has been its school system. This school system, which is administered in the native language, is one of the most brilliant achievements of our People during the last two centuries. The majority of our People fail to understand the significance of such a schooling system. The long-term goal of this system is not simply to teach the native language, but rather to consolidate one of the primary pillars of our National Identity– our language. I have no doubt, whatsoever, that the political and nationalistic awakening that ADM brought about as a result of its growth in membership and the support of the masses of our People have transformed our political nationalistic struggle, that was based, until recently, on genuine sentiments of a few conscientious individuals, into a struggle that is more principled and is guided by a political nationalistic progressive ideology and driven by a long-term strategy. It is the latter fact that justifies my claim to the effect that the emergence of ADM is, in itself, the major turning-point in our modern political history. In reality, it amounts to a leap in the quality and depth of our political nationalistic thinking and consciousness. With this radical and far-reaching political transformation, there emerged some positive and negative consequences. Such consequences have been detected among our own People as well as beyond our People including our Kurdish neighbors, specifically the KDP authorities. Let us first handle the consequences of our nationalistic awakening upon our People. The single most impressive positive consequence of the political awakening of our People, en masse, has been the ability to tell the genuine political movements from the fuzzy and phony ones. They even began to question the unquestionable institutions in our community such as the Church. Although the overwhelming majority of our People sincerely realize that the Church is a major pillar of our national identity as a People, they also began to realize that they have the right to question the role of the Church in our political and nationalistic life. They began to raise questions such as the following: Is the Church the leader of our political destiny? Should it interfere in our political decision-making process? Should it confine its decision-making authority to matters pertinent to our religious life only? These are difficult questions because they are deep-seated in our history with all the massacres and turbulences it has undergone. Our Church has been the exclusively dominant authority and decision-maker in most aspects of our life including religious, social and political, since the collapse of our Assyrian and Babylonian political systems and the advent of Christianity. Objectively judged, throughout its long history, our Church has played a double role of a guardian and divider. As a guardian, it has been the glue that maintained the survival of our People and our Church despite all tragedies. This is why our Church has been and still is and should remain the same binder and unifier that it had been. Unfortunately, the Church has also played the role of the Great Divider of our People. It has turned the single message of Jesus Christ into several messages, several denominations, several patriarchs and several sects – Assyrian, Chaldean, Suryani and Maronite– as a result of repeated schisms of 431, 451 and 1553, among others. As much as our Church of the East is concerned, it seems that the 1553 schism was not damaging enough to our religious and nationalist Unity. It, once again, created yet another schism in 1968 over the calendar of religious events thus yielding The Church of the East (New Calendar) and The Church of the East (Old Calendar). Later, the former section of the Church added the attribute ‘Assyrian’ to the historical name of the Church thus rendering it ‘The Assyrian Apostolic Catholic Church of the East’. It is noteworthy that the attributes ‘Catholic’ and ‘Assyrian’ are contradictory in denotation since the former indicates the universal (i.e., interethnic = multiethnic = encompassing all) nature of the Church, whereas the latter indicates a specific ethnicity– ‘Assyrian’ in this case. The right to speak his mind and direct constructive criticism at anyone regardless of Church rank in the interest and integrity of the Church. The right to communicate his thoughts to the Patriarch in confidence. The right to modernize the Church and use a variety of Aramaic language that is comprehensible for the overwhelming majority of the parishioners. 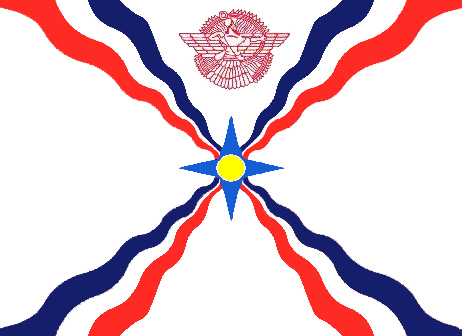 The right to call for Unity of the Assyrians, Chaldeans and Suryanis. The right to call for the resurrection of the Unity of the Church of the East as it had been five centuries ago before the schisms. The right to be a clergy, a thinker and an intellectual. The right to be a prelate (Eetanaaya) and a nationalist (Umtanaaya). The right to speak out about the miserable conditions of our People in Iraq and the failure of the Shepherd to attend to the needs the wretched Flock in the native land. Indeed the above are a few ‘sins’ that some autocratic and theocratic institutions or states punish their members or citizens for. However, according to the basic democratic rights of a human being, regardless of being clergy or lay as stated in Universal Declaration of Human Rights of the United Nations Organization, the violation of the above democratic human rights justifies the dismissal of several members of the same Synod that approved the dismissal of Mar Bawai Soro. The decision to dismiss Mar Bawai Soro was nothing but a mere autocratic solution to a democratic problem. It is a tragic decision that might add one more schism to the other previous schisms the consequences of which no one will bear but those who approved the decision. It is said that a spark can cause a conflagration. It is about time our Church realized that almost all, if not all, of the schisms and rifts within our People have started from the top and spread to the bottom and almost exclusively as a result of schisms and rifts in the highest echelons of our Church. 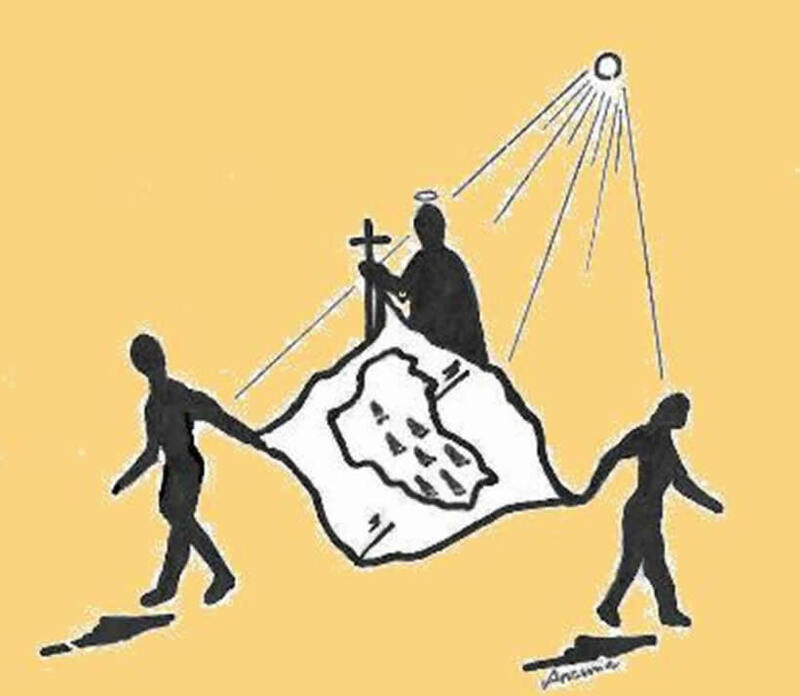 Who split Christianity into Eastern and Western, Orthodox and non-Orthodox, Catholic and non-Catholic and Protestants etc…If someone can find me a schism within our People that was started by the people at the bottom and spread to the top and split our Church I am more than willing to withdraw this article and apologize for its contents. The dismissal of Mar Bawai Soro should NOT be seen as an isolated religious dispute because our Church does not yet have scholarly theologians to scrutinize and thrash out theological and canonical inconsistencies, contradictions and disputes. His dismissal is the outcome of a clash of personalities, discrepancy in theological knowledge base and disparity in the interpretation of what constitutes a violation of the Sunhaadus. It is equally the outcome of the interpretation of the concept of Eetanayoota and whether the Church should be kept completely isolated from Umtanayoota (nationalism). With the recent awakening in the ideology of Umtanayoota, the days have gone when the Eeta should be separate from Umta. Of course the Church has the right not to interfere in the politics of Umtanayoota and Athranayoota; however, this right should stand when it is preached from the Qanke (Pulpit) as well as when it is whispered off the Qanke. In other words, there should not be political or religious hypocrisy. The recent secret meeting of our Patriarch with Mr. Masood Barzani would have been absolutely compatible with the freedom of assembly if it had been announced to the People and not conducted stealthily from the backdoor in semi-formal regalia (attire). The overwhelming Assyrians Chaldeans Suryanis desire to have friendly and cordial relationships with our Kurdish neighbors. We have struggled together and we want to continue that struggle in the fashion of the martyrs Hurmiz Malick Chekko, Margaret George and Franso Hariri as well as ADM’s martyrs but we reject being satellites or subordinates to any other nationality be that Arab, Kurd or Turkomani. No doubt, they are all our faithful countrymen and we share our Iraqiness with them. Nevertheless, in the modern interpretation of a democratic system, no nationality or ethnic group, regardless of its size, should be a subordinate to another. Any subordination defeats the principles of democracy. In actual fact, any practice of subordinating one nationality by another amounts to dictatorship, a practice reminiscent of Saddam Hussein’s regime. In a recent meeting with Mr. Jalal Talabani, the President of the Republic of Iraq, he stressed the fact that Kurds adore secular governments and they hold high the principle of the separation between the State and Religion. This is a magnificent statement and it should be adhered to by all and at all levels of governmental practices throughout a democratic Iraq. Therefore, the Kurdish political leaders, especially of KDP, should meet and communicate with our political leaders and their clergy should meet and communicate with our clergy. In a lighter, albeit very friendly way, our Qashas (priests) should meet with their Mullas or Imaams. As for the meeting of the Kurdish politicians with ours, it might be a somewhat difficult formula for KDP to agree upon. If our Kurdish neighbors sincerely want to identify our politicians, they can readily do that because they have recently succeeded in developing excellent information and intelligence systems. I strongly believe that KDP knows quite well that ADM is the most popular political movement among the Assyrians Chaldeans and Suryanis, especially among the younger and middle-aged generations. The Movement has deservedly earned its own political weight inside and outside Iraq. This is a political nationalistic and patriotic Movement that has won the hearts of tens of thousands of Aramaic-speakers and has some sincere and well known leaders. I am not hinting nor am I suggesting that ADM is the sole political power among our People with whom KDP should communicate, but I am indeed saying that in order to discover the weights of political groups, KDP should genuinely apply its political scales to discover those weights. I am definitely not trying to practice political pontification because I know that KDP knows the weights of different political groups among our People. I am simply speaking as a progressive ChaldoAssyrian nationalist who happens to be an academician with intimate relationships with scores of Kurdish scholars and intellectuals. I am also speaking as an educator who is equally proud to have been decades ago responsible for educating thousands of Kurdish students in Suleimaniyah who are now distinguished political leaders. I very earnestly advise KDP to use its political scales sincerely and wisely. KDP should never commit the political blunder of applying the doctrine of ‘divide and rule’, especially among Chaldeans Assyrians Suryanis. We are one People and we have been allies with Kurds when the struggle was much harsher. ADM has always been a sincere ally when a trustful relationship was hammered out. ADM has legs with which it can walk, hands with which it can function and brains with which it can design. It is a strategic blunder to tie the legs of a sincere ally for political convenience. I end my words to my Kurdish friends with a simple and straightforward statement. Let your Mullas meet with our Qashas, let your politicians meet with our politicians. This is the only route for building sincere, trustful and democratic relationships. Our messages to each other as Peoples should be in the open. Conversely, conducting behind the screen bargains is a dangerous policy that might backfire on both sides. As for our own Church leaders, they should understand that the Church is part of Umta and it belongs to the People and the clergy are no more than the medium to communicate the Word of God and the grace of Jesus Christ’s salvation. If a clergy desires to serve his Church and his People faithfully no one should deprive him that privilege. Mar Bawai Soro wanted to enjoy that privilege and the Knushya Sunhadiqaaya deprived him that right, a deprivation that is unjustifiable in terms of Sunhaadus. In conclusion, the decision to dismiss Mar Bawai is wrong and to rescind an unjust and erroneous decision is a virtue. Some of the most serious repercussions of obstinate insistence on imposing an erroneous decision is the likelihood of yet another schism. It is truly an unforgivable guilt to inflict yet another schism upon our People. Our People need more Unity than Disunity and all of our churches should together stand firmly by our One Umta. Prof. Edward Odisho is an expert in the Aramaic language and has published scores of research papers and articles in various international publications and has authored five books, the most recent being Techniques of Teaching Pronunciation in ESL, Bilingual and Foreign Language Classes (2003) and A Linguistic Approach to the Application and Teaching of the English Alphabet, Edwin Mellen Press (2004). For an interesting interview by the National Public Radio with Dr. Odisho in June 1998 click here. To read Prof. Odisho's recent speech in San Jose click here, and to read his most recent article for Zinda click here. Assyrian guards carrying the casket bearing the body of a victim of this week's attack in Mosul which left 2 dead and 2 critically wounded. (ZNDA: Baghdad) An Iraqi military personnel secures the area of a gunmen attack on a car in the northern Iraqi town of Mosul November 29, 2005. Yousif Nabil Ishmael, 19, from Baghdeda 19; Gewargis Brikha Youkhana, 25, from Nahla; Simon Edmon Youkhana, 22; and Milad Zakkar Mansour, 18. Mr. Ishmael and Mr. Youkhana were killed in the attack. Mr. Youkhana and Mr. Mansour were critically injured. At press time the condition of Mr. Mansour was said to be "critical" as he sustained life-threatening shot to his head. 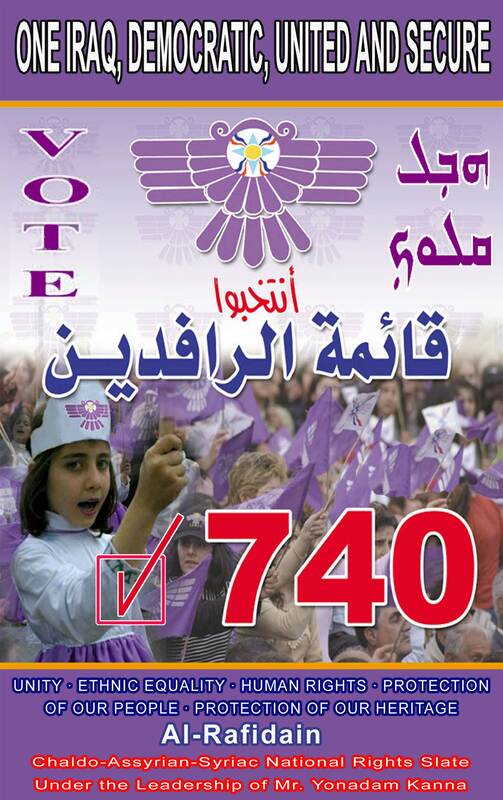 Only two weeks remaining until the December 15th elections in Iraq, the four Assyrian youth were placing posters for the Assyrian Democratic Movement-led slate of 740 when the gunmen attacked. 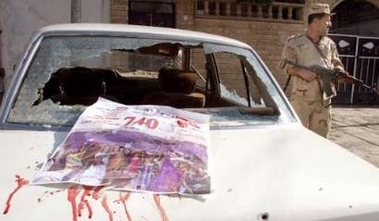 In one photo taken by an Associated Press reporter (see this week's cover photo), one of the bloodied al-Rafidain posters is seen barely glued to a bullet-riddled car. The pictures for this article are courtesy of the Zahrira in Iraq, and were taken during the funeral ceremony of the two murdered Assyrian youth in Mosul. (ZNDA: Berlin) A German woman who has been abducted by gunmen in Iraq has devoted her life to uncovering Iraq's cultural treasures and fiercely criticized Washington for not preventing the looting of its archaeological sites. The hostage is Susanne Osthoff, a Bavarian archaeologist who spent decades studying and excavating sites in Iraq to uncover the mysteries of ancient Mesopotamia, often referred to as the "cradle of civilization". 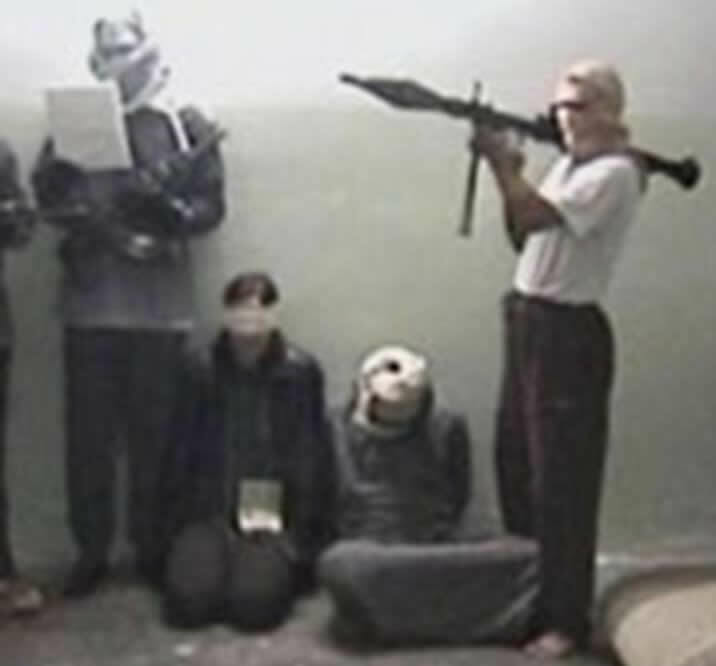 In May 2003, two months after the United States and Britain invaded Iraq to oust Saddam Hussein, Osthoff brought reporters to the site of the ancient city of Isin to show them how Iraq's most important sites were being stripped clean by looters. Osthoff had worked on a German excavation of the 4,000-year-old Isin from the mid 1970s until the late 1980s, when UN sanctions forced most foreign experts out of Iraq. "In two weeks, they have ruined all the work that was done over 15 years," Osthoff was quoted by the New York Times as saying at the time. In other media, she voiced disbelief that the US and British invaders had virtually ignored the sites. Four thousand years ago, Isin was a place for the sick to come to be healed. It attracted the lame, the arthritic, and the chronically ill who came to pray to the city's patron goddess, Gula, to deliver them from pain. All over the site, archaeologists have found bones with signs of deformity and disease. Isin was a Babylonian Lourdes. Now it is little more than a group of sandy mounds, a city betrayed by the Tigris, which used to flow nearby but shifted course over the centuries and left it high and dry. Osthoff had become fascinated with Iraq at an early age, later recalling hearing about the Hanging Gardens of Babylon during religious instruction classes at school in her native Bavaria. At university she studied the archeology of the Middle East. Days after the beginning of the U.S.-led invasion in March 2003, she drove from Amman in Jordan to Baghdad transporting medical aid. 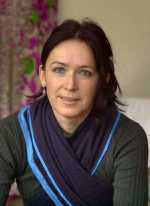 Providing medical equipment and medicines appears to have been her main work in recent years. Constantly in contact with German journalists in Iraq, she regularly expressed her admiration for the warmth of the Iraqi people. Last year she received a prize for her public spiritedness from the highly regarded Sueddeutsche Zeitung newspaper, which is based in Bavaria. Osthoff and her Iraqi driver were seized Friday and were later pictured in a videotape blindfolded on a floor, with militants armed with a rocket-propelled grenade standing beside them. In the northern city of Mosul, the head of the regional antiquities department, Muzahem Mahmoud al-Zawbai, said he warned authorities Osthoff was not safe and that he could not be responsible for her security due to insurgent activity. It was unclear if the authorities relayed the warning to Osthoff, who was working to renovate an historic house. Stephan Kroll, an archaeologist at Munich's Ludwig-Maximilian University, where Osthoff studied, said she had told colleagues she was worried "something could happen to her." (ZNDA: Amman) Mgr Fernando Filoni, Vatican's Apostolic Nuncio in Jordan, delivered an important speech full of hope and confidence for the future of Christians in the Middle East. His words opened the Assembly of the seven Eastern Catholic Patriarchs: Latin Michel Sabbah, Maronite Nasrallah Sfeir, Melkite Gregorius III Lahham, Coptic Stephanos Ghattas, Chaldean Emmanuel Delly, Syriac Ignace Pierre VIII Abdel Ahad and Armenian Nerses Bedros XIX Tarmouni. “Justice and peace” is the main topic of the gathering, which ends next Saturday. Maronite Patriarch, Nasrallah Sfeir, told that this meeting comes at “a critical time not only for the Mid East” since there is much talk “about clashes between different cultures, especially between Christians and Muslims”. He also repeated his condemnation of the recent terrorist attack that killed many people in Jordan. Cardinal Sfeir said he would meet Jordanian leaders for religious-political talks as well as see Maronite faithful living in the kingdom (no more than 2,000). He will preside over the brick-laying ceremony for the construction of the Maronite Cathedral of Saint Charbel. The building will rise on land donated to the Maronite Patriarchate by the late king Hussein in 1998. Patriarch Sfeir expressed appreciation for Syria’s decision to allow the international commission of inquiry to interrogate five Syrian officials. This shows that “no state can refuse to abide by the demands of the international community,” he said. He urged the Lebanese and Syrian governments to start delineating the final boundaries between the two countries, “a process that started back in 1960”. He also said he was in favour of re-establishing diplomatic relations between the two neighbouring countries “as soon as possible”. Finally, Patriarch Sfeir once more urged everyone “to listen to the language of reason and uphold everyone’s right to liberty, justice and peace”. For his part, Chaldean Patriarch Emmanuel Delly reiterated his Church’ will to implement the recent decisions taken at the Synod held in Rome. He insisted as well that the people of Iraq like the people of other countries in the East need the opportunity to live and express their Christian faith “without fear or persecution”. He said he hoped the Patriarchs’ Assembly will go well since it involves a topic that profoundly touches all. “In the East we suffer from the lack, if not the absence of justice and peace,” he noted. For Coptic Patriarch Ghattas, there is a “need to ensure that all Christians in the East have confidence in their future; otherwise, they’ll be gone and the East will be empty of its people”. This will be the third time this year that Iraqis have gone to the polls. On 30 January Iraqis elected a Transitional National Assembly. One of the responsibilities for the Assembly was to write a draft constitution of Iraq. The resulting document was approved by Iraqis in a referendum held on 15 October. The Independent Electoral Commission of Iraq (IECI) has been and is responsible for organizing, conducting and overseeing the Transitional National Assembly elections, the referendum on the draft constitution and the 15 December Council of Representatives elections. The polls are run in accordance with international electoral standards. At Zinda press time 7 locations have been designated in the United States for voting: Washington, DC; San Diego, Los Angeles, and Pleasanton in California; Nashville, Tennessee; Chicago, Illinois, and Detroit, Michigan. The election will take place on the 13th, 14th, and 15th of December 2005. All Iraqis 18 years or older born in Iraq or from Iraqi parents and living anywhere in the US are eligible to vote in this election. The only document to register and vote, on the same day, is one that shows the voter is Iraqi or his/her parents are Iraqis. An American passport that states one's birthplace as Iraq is a valid document for this purpose. In the coming weeks Zinda Magazine will provide more detailed information, forms, maps to polling stations, and a full list of candidates and coalitions. (ZNDA: Washington) The 67-year-old Assyrian man who stabbed his wife to death with a screwdriver after she threatened divorce was executed by injection in North Carolina, despite his children's pleas for the Governor's stay of his execution. The governor rejected his children's plea for clemency. Elias Syriani was pronounced dead at Central Prison, where he had visited and hugged his children beforehand. Syriani's was the fourth execution this year in North Carolina. Easley said in a statement that he found "no convincing reason to grant clemency and overturn the unanimous jury verdict affirmed by the state and federal courts." Syriani was convicted in the death of his wife, Teresa, 40, who was stabbed 28 times with a screwdriver in Charlotte, North Carolina. She died 26 days later from injuries she suffered in the attack that happened after her husband stopped her as she drove home from work and tried to get away from him. The children hadn't seen their father on death row until two years ago and have since said they have forgiven him. Part of their forgiveness stemmed from learning about his traumatic upbringing as an Assyrian Christian in Jerusalem and Jordan. (ZNDA: Sydney) A Sydney removalist (i.e. mover) who punched a 60-year-old Assyrian man in the face during a road rage incident, leaving him with injuries from which he later died, has been sentenced to four years' jail. Maka Afu, 36, was found guilty of maliciously inflicting grievous bodily harm, which carries a maximum seven-year jail term. Afu got into a scuffle with Beni Sarkis on inner-city Glebe Point Road last December after the 60-year-old pulled out in front of him in heavy traffic, causing him to swerve. The Marrickville father of two said during the trial that he punched Mr Sarkis "just once" in the face, sending him crashing to the ground. Mr Sarkis was rushed to hospital but died of brain injuries later the same night. Afu's lawyer Mitchell Paish told the jury during the trial that Mr Sarkis had started the confrontation and had provoked his client. A jury cleared Afu of manslaughter but found him guilty of the lesser offence. In sentencing at Sydney's Downing Centre District Court today, Judge Ann Ainslie-Wallace said Afu's punch had been "cowardly, violent and totally disproportionate". "The response [by Afu] was, in my view, totally out of proportion to the actions of Mr Sarkis," she said. Judge Ainslie-Wallace said she took into account Afu's past criminal convictions of assault when determining the sentence, and said Afu needed to "learn to control himself". "Nothing short of a full-time custodial sentence would be appropriate," she said, adding that Afu had not demonstrated enough remorse over the incident to lessen the penalty. She sentenced him to four years in prison with a non-parole period of 2½ years. With time already served, Afu will be eligible for parole in early 2008.
northern city of Mosul, killing two and wounding two others. 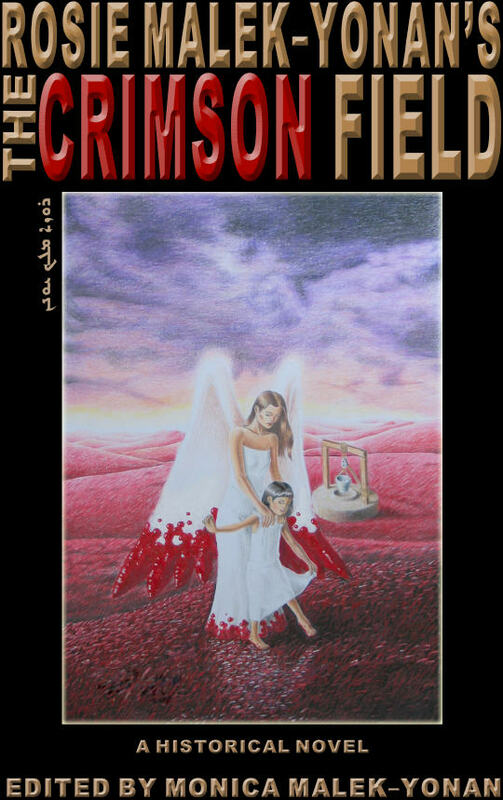 With the recent release of her historical and literary novel, THE CRIMSON FIELD, author Rosie Malek-Yonan is on a mission to deliver her message to the world via book signings, interviews and lectures. 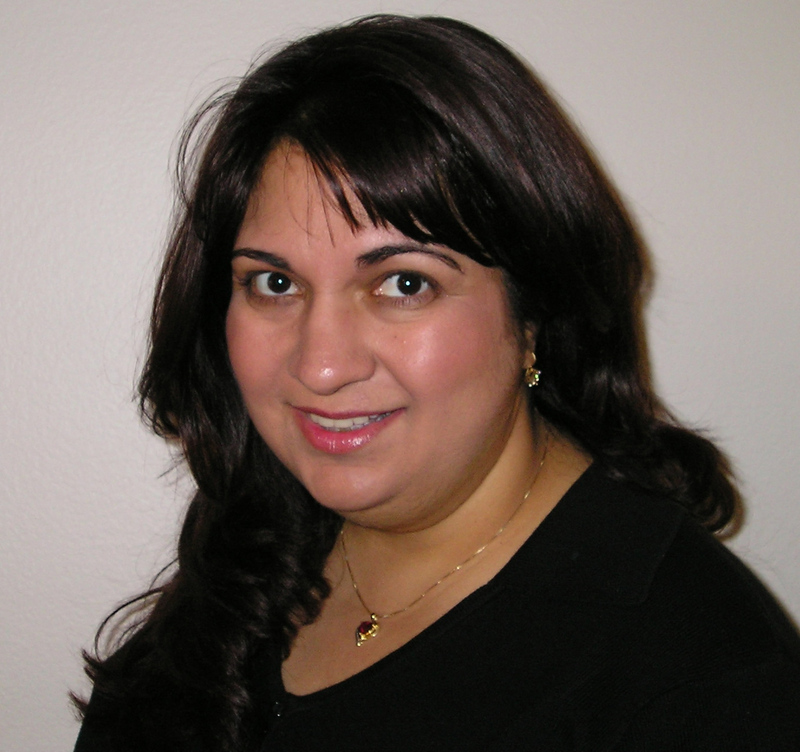 Her message is to shed light on the Genocide of 750,000 Assyrian Christians in the Middle East. Malek-Yonan’s high-spirited approach affords the reader a rare glimpse into the lives of a nation bereaved and long imagined to be forgotten. This epic novel is a tender reminder of the resilience of a people in their quest for survival. For the past two months, Malek-Yonan has taken her message on the road across America from city to city, at churches of all denominations and nationalities, civic organizations, local and national radio interviews, local and international satellite television programs, and now to major shopping malls in America during one of the season’s busiest times. Representatives of ACSSU assisting at the Symposium’s registration table: Ramen Benyamen (L) and Sargon J. David. Among the main objectives of the Assyrian Chaldean Syriac Student Union (ACSSU) of Canada, are to promote education in general, and more specifically of our own culture among our people. As a result, we were pleased to be invited to attend the Fifth Annual Symposium of the Canadian Society for Syriac Studies (CSSS) in Ottawa this year. The symposium was sub-titled “Syriac Historiography” and was held at the University of Ottawa on Saturday November 12th, 2005. Plans for ACSSU’s trip to attend the symposium were finalized after many meetings with Dr. Amir Harrak (Professor of Aramaic and Syriac at the University of Toronto, Canada, and President of the CSSS) who warmly welcomed and encouraged our enthusiasm and collaborative participation. Volunteers on behalf of ACSSU assisted Dr. Harrak with preparing invitation letters before the event and also with registration at the door on the day of the symposium. 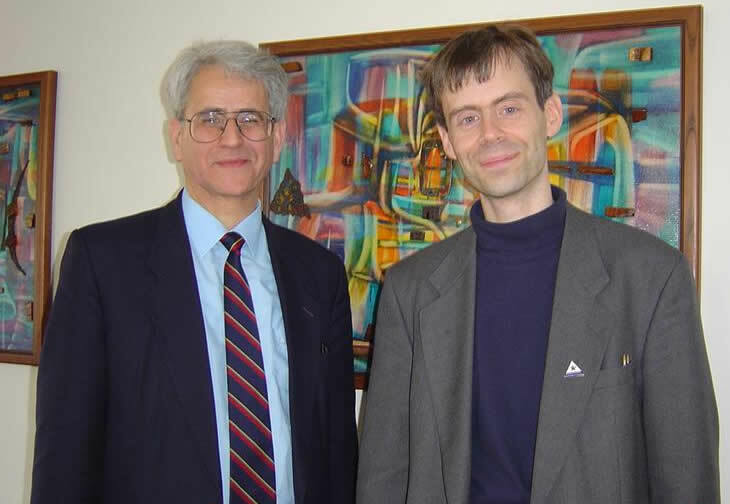 Dr. Harrak (L), Professor of Aramaic and Syriac at the University of Toronto, Canada, and President of the CSSS, and Geoffrey Greatrex, Chair of the Department of Classics and Religious Studies, University of Ottawa. More than 40 people were in attendance. The symposium consisted of a series of interesting lectures given by scholars from universities around the world. Among speakers was Dr. M. Debie who gave her talk in French. In addition, Geoffrey Greatrex from the University of Ottawa talked about Pseudo-Zachariach of Mytilene: the Question of Genre. Jan van Ginkel from Leiden University talked about Michael the Syrian and his sources (reflections on the methodology of Michael the Great as a historiographer and its implications for modern historians). Moreover, our own Dr. Amir Harrak talked about the Syriac sources of a recently discovered Christian Arabic chronicle. Next was Dr. Witold Witakowski, Uppsala University, who talked about the ecclesiastical chronicle of Grigoryos Bar ‘Ebroyo. This year’s agenda was also rich with other speakers and interesting topics. Each talk was followed by a discussion period where questions raised by the audience were answered by the speakers. Attending this symposium reminded us of how many non-Assyrian Chaldean Syriac individuals are interested in extensively studying and teaching our rich and unique history. We should all encourage and attend such academic events and take advantage of the knowledge that is being offered to us by these scholars. For more information about the CSSS please click here. For more information about ACSSU please click here. Delegation representing ACSSU at the symposium with Dr. Amir Harrak (left to right): George Bit-Yunan, Sargon J. David, Iasic Shleimon, Mariam, Ramen Benyamen, Alda Benjamen, Dr. Amir Harrak, Alhan Oraha, Lara Benjamen & Renya Benjamen. (ZNDA: Sydney) The first five awards of Miss World 2005 were presented last week for the Miss World Talent Show category. The Assyrian beauty, Ms. Remona Amiri, representing Canada, won first place in the Traditional Dance subcategory. An audience of nearly 3,000 packed into the Rui’an stadium to witness the night of their lives as the Miss World contestants sang, danced and performed their way into the hearts of the people of Rui’an, China. The Miss World Talent Show is always a highlight of the pageant. Traditional dances, incredible voices and stunning costumes filled the stage as more than 65 contestants performed for the appreciative audience. Ms. Amiri belly-danced her way to the top place in the traditional dance category, closely followed by Scotland’s impressive celtic dance in second place and China in third with her local dance. Other categories included Best Musical Act, Best Dance Performance, Best Singing Act, & Best Original Performance. The winners in the same order were Japan, Czech Republic, American Virgin Islands, and Italy. Judging the performances were Wenzhou’s Mayor Xu, Mr Chen Bu-Lin, head of the Wenzhou tourism bureau, Mr Zhou Yong-Liang, president of the Meilun Medical Group, Miss World Organisation Chairman Julia Morley, Miss World 2004 Maria Julia, beauty and fashion consultant Gillian Lentin and Emmy-winner writer Malcolm Williams. More than that, we rejoice in our sufferings, knowing that suffering produces endurance, and endurance produces character, and character produces hope, and hope does not disappoint us, because God's love has been poured into our hearts through the Holy Spirit which has been given to us. Then he said to his disciples, "The harvest is plentiful, but the laborers are few; pray therefore the Lord of the harvest to send out laborers into his harvest." You will know them by their fruits. Are grapes gathered from thorns, or figs from thistles? So, every sound tree bears good fruit, but the bad tree bears evil fruit. A sound tree cannot bear evil fruit, nor can a bad tree bear good fruit. Every tree that does not bear good fruit is cut down and thrown into the fire. For whoever exalts himself will be humbled, and whoever humbles himself will be exalted. "Woe to you, teachers of the law and Pharisees, you hypocrites! You shut the kingdom of heaven in men's faces. You yourselves do not enter, nor will you let those enter who are trying to. "Woe to you, teachers of the law and Pharisees, you hypocrites! You travel over land and sea to win a single convert, and when he becomes one, you make him twice as much a son of hell as you are. Do we tell the youth that H.G. Mar Bawai Soro has been suspended because he is teaching the word of God? As a humble Bishop, H.G. Mar Bawai Soro has been inspiring to us and we cannot deny that. If no one cares about our youth today, who will fill those pews in our Churches during the next generation? Who will save our children and teens from the path of wickedness? The Church is the house of God and we will continue to learn the word of God. Our forefathers had the largest Church with missionaries reaching China, but today we continue to stop those who have Gods love and don’t worry if our youth continue to be sent away and discouraged. I charge you in the presence of God and of Christ Jesus who is to judge the living and the dead, and by his appearing and his kingdom: preach the word, be urgent in season and out of season, convince, rebuke, and exhort, be unfailing in patience and in teaching. For the time is coming when people will not endure sound teaching, but having itching ears they will accumulate for themselves teachers to suit their own likings, 4 and will turn away from listening to the truth and wander into myths. As for you, always be steady, endure suffering, do the work of an evangelist, fulfill your ministry. For I am already on the point of being sacrificed; the time of my departure has come. I have fought the good fight, I have finished the race, I have kept the faith. I am an Assyrian woman, who is also a mother, and is very concerned about the values and the Christian teachings that the Assyrian Church has to offer to our new generation. Some leaders of the Church seem to have forgotten the true meaning of Christianity and what Jesus preached. The main essence of Christianity is Love and if our Church cannot teach our children how to love and accept one another then our Church is on its way to disaster. Some leaders are supposed to be a role model by their action, to our children, and not to use their Church position & authority for their own selfish gain. Their duty towards our Assyrian nation is to protect & unite us and not to tear the members of the Church apart. These past months we have been watching these tragic events that have taken place, sadly against a very bright, educated & well-rounded leader. It’s unfortunate to witness such unfair ruling against a remarkable person. This judgment reminds me of some leaders that controlled some of the middle Eastern countries and abused their people and any well-educated person that existed, to protect their own ego and status. This day and age our Church needs to pay attention to the real issues that Assyrians are suffering from, instead of condemning a great leader. The Church leaders need to shift their energy and start rescuing the abused Assyrians in Middle Eastern countries and support the vision of the new Assyrian generation that is growing up in the Western world. I urge some leaders to follow the steps of the previous leaders who ruled the Eastern Church for over 600 years and sacrificed themselves for the sake of preaching the true meaning of Christianity and love of their nation. If the present leaders cannot maintain this legacy then please step down. We believe you have accumulated enough wealth and self gain. Let someone else help and save this poor, abused nation. Step 1: The elections are conducted in Iraq to help the people living there in getting better conditions in all aspects of life as same as other advanced nations. Step 2: Our people living there are the direct beneficiary from the outcome of the elections. Those of us who are living abroad can only HELP in the process because we all agree that no one is willing to move back NOW. Even those who are willing to move back would be in no different position than those already there because what works in the West, simply, won’t be applicable in Iraq. Conclusion: Therefore it is completely illogical to impose our will, plans and western mentalities and dictate them on our brothers living in Iraq. Because on one hand, our brothers are more familiar with their needs and they have their own plans for the future and on the other hand, they are familiar in dealing with other Iraqi factions much more than we do regardless our intelligence or our western experience. Just look at the US bitter experience and who is their current ambassador in Iraq now, isn’t that a clear indication to everyone who wants to understand the actual facts on the ground. This would lead us to only one option and the only logical one, i.e. to vote for what the majority of our people in Iraq support the most in order to help them achieve their goals. I think this option is much better than fighting here and there on some election’s slogans that fit our ambitions here but would create more divisions. These irrational fights and character attacks are nonsense and will create more confusion to our brothers rather than helping them in removing all the obstacles they are facing now and clearing the roads for the new changes. There is no need to say here that you can get the best of your work from your adversary when you have the full support of your people and let it be clear that our rivals are not within us by any count! Let us be realistic once we look at the election this time. We are minority whether we like it or not; and any logic tells us that UNITY IS A MUST for any minority to achieve any significant results in any elections or decision making processes or otherwise, the minority voice will be very soon dissipated in the air in vain. There is no need to explain the rule of the ‘Batch of Sticks’ here once again. Let us not be overwhelmed if the goals are not met in our first pass because rational people learn from mistakes and faces may change as well but our unity will stay the same and I am quite sure that our goals will stay intact as well. The only thing that is dividing us is the approach or the mechanism to reach our goals but this is not significant as much as we stay united. Because time has just started for the big change and we may make a lot of amendments in this historic journey to everything including our plans in order to get the best results and achieve our goals. No nation has achieved its ultimate goals easily nor did it achieve them all at once and sometimes not even with the same faces, just take a glance at the history of any nation and it will tell you the whole story of its advancement. Logic tells us that UNITY IS THE ONLY WAY for our salvation and prosperity. Ashur TV is a satellite television which can be seen on Intelsat Americas 5 and Telstar 12 (for more information see our website www.ashurtv.org) We have been on air for more than a year and just recently we have increased our broadcasting time to 26 hours per week. Financially Ashur TV is solely depending on commercials and personal donations of our people. Although this TV belongs to the Assyrian Democratic Movement (ADM) and reflects ADM's viewpoints, at the same time we will try to bring you other viewpoints through talk shows, interviews and in depth political discussions. We believe open mediums where scholars and experts can freely discuss and criticize our political organizations including ADM ultimately will be in the benefit of our nation. Therefore I like to invite all scholars who are experts in political, social, economic, religious and cultural issues to contact us, and we will work with you to bring vivid and in depth discussions to television. I also invite those who are interested to be our reporters and send us reports, news, community news, images and clips. What is your issue and what do you want me for? He said: Who are you and for how many should I count for? He said: Who is your leader and for whom should I issue the document for? 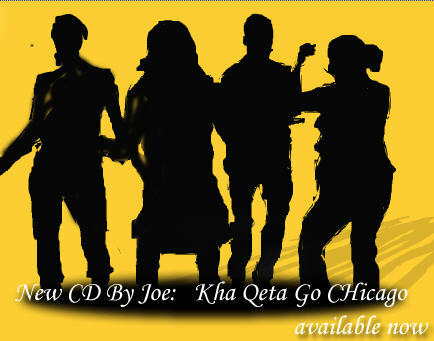 I said: ZOWA, ADO, AUA and few on the queue waiting to be formed. You are one body with hundred heads who don’t know what they are doing anymore. Zinda Magazine apologizes to its readers for the inconvenience caused with the printing of the last few issues. The badly designed pages (our fault only) forced many of you to print as many as 70 pages on landscape orientation. Firstly, thank you for bringing this issue to our attention. Secondly, we promise a quality check after each issue is produced before it goes out to publication on the Internet. Thirdly, Zinda has decided to convert every past issue from the last 10 years and convert it to the PDF form in 2006. We will also begin producing each issue, starting in January, in PDF form so you can easily download a copy onto your desktop or even carry on your PDAs while traveling or relaxing in the office. We listen to your comments and suggestions and promise to work even harder to provide you with even better service in 2006. (Washington, DC) Zinda Magazine is pleased to announce a collaboration with the Habbaniya Union School & Community Association which publishes a semi-annual magazine for its members. On Wednesday, 7 December 2005 Zinda will publish all previous issues of this niche publication on its server with a direct link from the Zinda homepage. Working with the HUSCA magazine editor, Mr. Mikhael Pius, Zinda will be offering the informative and colorful pages of this beautifully designed magazine in PDF form, which can be easily accessed and read by all Zinda and HUSCA readers. "The goal of this and other similar projects is to provide our readers with as much information as is possible. By combining the services of Zinda Multimedia Services which produces Zinda Magazine and the efforts of small, but extremely important, niche publications like HUSCA, we can offer greater research and information gathering possibilities for our 20,000 plus readers around the world," comments Mr. Wilfred Bet-Alkhas, editor of Zinda Magazine. "The good news is that in addition to the hard-copy edition, HUSCA will now have an Internet edition too--through the patriotic generosity of an Assyrian benefactor," says Mr. Mikhael Pius, editor of HUSCA magazine. Zinda Magazine will continue to publish all future HUSCA issue on its servers starting in 2006. HUSCA magazine contains letters, articles, pictures (both current and vintage) and other features on the local people of the former RAF Station of Habbaniya in Iraq. To learn more about HUSCA Magazine and other services that can be provided for your community publications contact Zinda at zcrew@zindamagazine.com. Amongst our nation in the homeland and in the Diaspora there are many university and college students who are or will continue onto postgraduate studies and aspire to the scholarly world and academia, although very few of them specialize in subject areas related to our nation, such as Syriac studies or Assyriology. From time to time some of those in this small group of active Assyrian scholars are in need of financial support, especially when they are not eligible for scholarships and when western institutional support is not always sufficient. One of these students has proven himself to be fruitful for the Assyrian heritage in general is in need of such financial assistance to be able to undertake a Masters program this year. At the age of 22 this Australian-born Assyrian youth is presently undertaking an MA in Eastern Christianity, specializing in Syriac Christianity at Leiden University in the Netherlands. 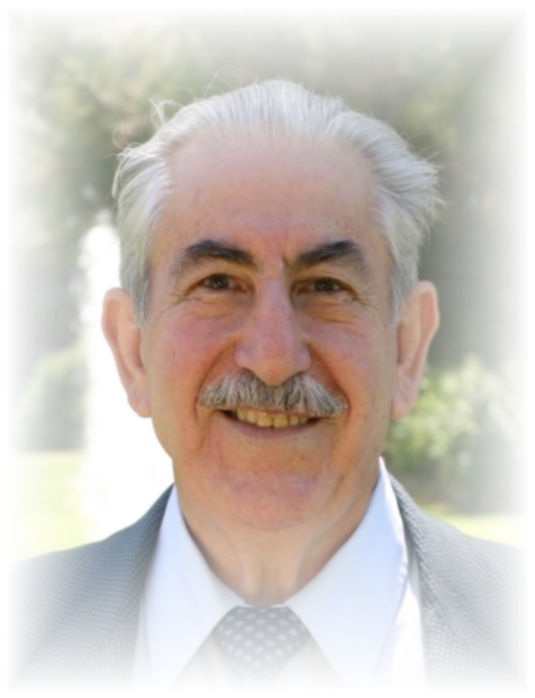 He completed his BA majoring in Classical Hebrew, at the University of Sydney last year and has participated in academic conferences since the age of 17, having written many articles on Assyrian history and culture. He also has been involved in the Assyrian community and an activist since the age of 15, and has won many awards and scholarships in the past from Assyrian, as well as non-Assyrian institutions. He also participated in an exchange program at the University of Toronto in Canada in 2004 and has taught Classical Syriac at Sydney University in the 2005 academic year. This student’s main aim after finishing his MA is to complete a PhD, and enter academia. His plan is to eventually become an authority on Assyrian history and culture in the Christian period, and to write about and teach it from a native Assyrian perspective. He also would like to make an impact on the field of Syriac studies for the good of our nation. Our Assyrian student was unsuccessful in obtaining a scholarship from a Dutch government institution , but the University offered him a partial tuition waiver which has eased the financial burden a little. Yet it did not even cover the whole tuition fee (of which 3,000 Euro remained), let alone travel and living expenses (2,000 Euro plane ticket and travel insurance + at least 7,000 Euro living expenses). He had some money saved up from working 3 jobs while still in Australia, but not enough to make all ends meet. Support was sought from Assyrian institutions in Europe, Australia and the United States with existing scholarships, but they proved neither flexible nor helpful. He was ineligible for the basic reason that he was living and studying in the Netherlands and none of them specifically aimed to support Assyrian students in Europe – whether or not they were genuinely in need. On behalf of this student, and the organizers of the campaign, we thank all the above for such spontaneous and wholehearted timely support for our nations students and scholars. We hope that this may be the basis for future endowments for Assyrian scholars. Let this serve as a lesson for Assyrians around the world that aspire to national work and let them never forget that the pen is mightier than the sword. 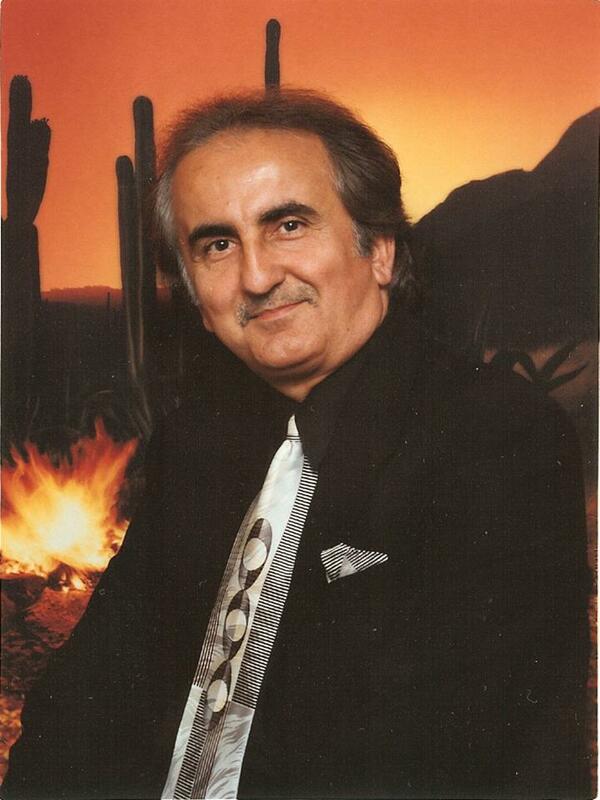 At Zinda Magazine we call the Assyrian student mentioned above "the walking encyclopedia of Assyrian heritage". He has an astonishing ability to describe the history of nearly every Assyrian village in the Middle East, their churches, important historic events, etc. Zinda Magazine often contacts this student to quickly check facts before a new issue goes out on the Internet. He is a pillar of our zCrew success. Zinda urges its readers to generously support the education of this Assyrian student by contacting Ms. Gamri Beth Arsan. Thinking or praying for the Iraqi children is beautiful, but we must not forget that, in spite of the violence they witnessed since more than two years ago, they are children, and like every children in the world they deserve a Christmas present, a moment of happiness to make them feel like all the other children. 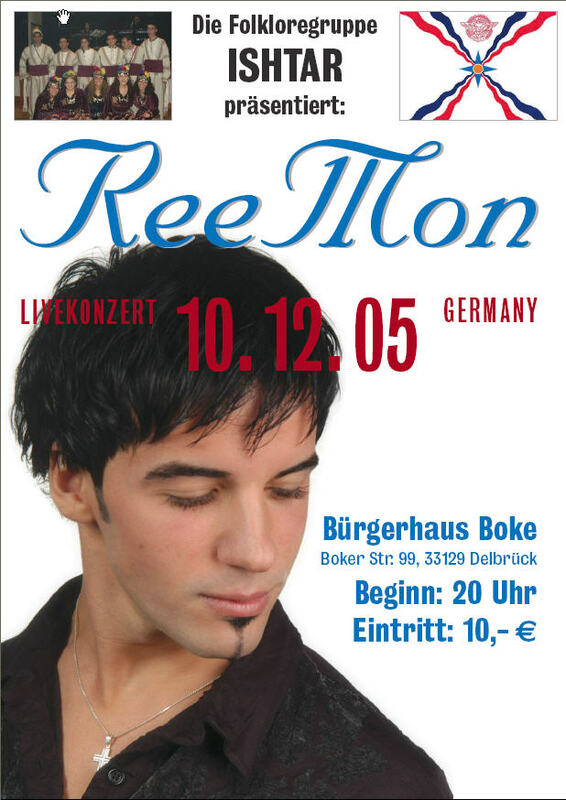 Due to bank transfer times the deadline for the fund raising has been fixed at December 15 2005. In 2005, the program's inaugural year, 32 policy-makers from 28 countries participated as Fellows. Each week, instructors and fellows focused on a different theme - democracy, development, and rule of law, respectively - and studied the policy implications of the interrelations between the workings of political, economic, and legal institutions in theory and practice. Discussions were led by Stanford faculty and scholars at the forefront of research at the junction of democratic advancement, economic growth, and issues surrounding the establishment of rule of law and human rights. Prominent leaders of research and development institutions and social movements, such as the National Endowment for Democracy, enhanced the weekly agenda. The daily seminars were complemented with field trips to local government institutions, NGOs, and business organizations. This program is aimed at early to mid-career policy-makers, academics, and leaders of civil society organizations (such as representatives of trade unions, non-governmental organizations, the media, business and professional associations) who will play important roles in their country's democratic, economic, and social development. We anticipate recruiting a group of 25-30 individuals dedicated to democracy and development promotion within their home countries (particularly in, but not limited to, the regions of the Middle East, Northern and Sub-Saharan Africa, Central Asia, and other parts of the former Soviet Union). In addition to the completed application form, you must provide at least two but no more than three letters of recommendation from people who know you in your capacity of a development worker. (FSI) seeks to promote innovative and practical research to assist developing countries and transitioning societies in the design and implementation of policies to foster democracy, balanced and sustainable development, and the rule of law. Scholars affiliated with CDDRL explore how best to harmonize the pursuit of each of these goals in the interest of helping to produce states and societies that are freer, richer, more law-abiding, and more transparent. Speaking publicly as well as privately on a visit to Tokyo, Japan, Iraqi Foreign Minister Hoshiyar Zebari refuted claims that the failure to find Weapons of Mass Destruction meant the war was not justified and encouraged minority Assyrian Christians to return and form their own province in Iraq and help rebuild the nation. Speaking forcefully, at times to a hostile audience he dismissed claims that the Iraqi people felt they were `occupied` and personally thanked the United States and other Coalition partners for saving Iraq from `dictatorship, cruelty - the worst in the world. Iraqi Foreign Minister Hoshiyar Zebari (L) and the Rev. Ken Joseph Jr. (center) met in Tokyo, Japan. In comments in direct opposition to reports suggesting first that the failure to find weapons of mass destruction meant that the war had been wrong and that the majority of Iraqis see the Coalition forces as `Occupiers`, Zebari could not have been more clear. Giving a vision for the future of Iraq, Zebari said he saw an Iraq that centered around Democracy, a Federal system of government and equality. Appearing to concerned with the Islamic drift in Iraq exemplified in the very `Islamic` Constitution he said . `There are many who have expressed concern about the current constitution and its strong use of Islam. This is definitely an area of concern. At the same time we feel that two further parts of the constitution regarding first Human Rights and Freedom of religion should be able to balance the problems. At the same time there are concerns`. Referring to the long term future of Iraq, in a surprising comment suggested that Iraq could organize a `Status of Forces Agreement` as Japan and Germany had after the war to have long term security assistance in the country. All in all, speaking at times to a hostile audience Zebari came out `swinging` in his defense of the path Iraq was going, in very clear and unequivocal language taking on each of the claims that have formed the core of the push for early Coalition withdrawal and in particular encouraging the original people of Iraq - the Assyrian Christians to not only stay in the country, but return from overseas and create what many in the community have seen as a dream of a regional administrative government - a word many have been waiting to hear. Zinda magazine recently and consecutively publish two articles by a Kurdified Nineb and another by a warlord Masaud. First of all the thing that caught my attention was the proper English used in the writing of both articles as one might assume that these writers spoke English as their mother tongue or lived and studied in English-speaking countries for decades in which I almost doubt it. There are two possibilities the first is that the articles were written in Arabic or Kurdish or even dictated by the authors then having them translated into proper English. Another theory is that these articles were written by a propaganda squad well conversant in proper English language. The first turbaned denied his Assyrianism and adopted a Kurdified identity by becoming a Trojan horse to subvert and denigrate his own people for the service his tribal masters. November 27 - 11:30 a.m.
December 3 & 10 - 9:00 a.m to 10:00 p.m..
December 11 - 9:15 a.m. to 1:00 p.m. He relayed the masters’ message that the Assyrians are a few and thinly scattered throughout the country with just above 0.25m population. He blasted his own people describing them as hiding in the west with comfy life styles, brief cases and laptops, those who did not return to build the homeland as the Kurds have done. An example here is Hoshyar (now Maali) who returned to become the Foreign Secretary of the land so why should the Assyrians return when the current situations are no different, to them, than under the past regime as the Assyrians have gained nothing; in fact Assyrians are intimidated, kidnapped, killed and their churches bombed. Thousands of Assyrians left the main cities to the neighbouring countries in the past 2-3 years. Why should the ones who are already outside return? What is the incentive for the Assyrians to return? The President and the Foreign Secretary are Kurds; in reality the government itself is run by Kurds and despite that a few of the Kurds have returned, why should the Assyrians return? There are 20m Muslims in Europe and Kurds are among them and many more regularly emigrate to Europe and the west and Kurds are among them. Many Kurds in the west refuse to return after the host nations have asked them to leave. If the whole Middle East is failing what is the magic of the Kurdish success? What about the demonstrations in Kurdish towns where deprived common people gush their anger at the lack of services and corruption and nepotism at the top? How can ordinary Kurdish people trust a chief whose nephew is his Prime Minister and his brother in law is the Foreign Secretary of the land? Are there no qualified Kurds up to these jobs? In this morass what would the status of the Assyrians be? Give the Assyrians their national boundaries, the minimum, the lands between the Tigris and upper Zab and see the influx of Assyrians to Assyria to build a modern state in the shabby and failed Middle East dominated by backward and tribal administrations ‘with flags’. It seems that a huge income and pocket money coupled with palatial homes and luxury live style elevate a fellow traveler from nothing to something, at least capable of hurting and insulting his own people. The other turbaned and warlord (now Ostadh) a term used in the culture of that land to mean Professor, a title that was bestowed to him while moving from one ridge of the mountain to another as Peshmerga with a rifle in his hand. He talks about the Kurds being allied to the United States and the role they played in the ’liberation’ of Baghdad. He meant here the combatant American troops advance, the past regime retreat, and the Kurds occupy the demilitarised towns and villages. He talked more about the sacrifices the Kurds gave under the past regime but forgot quickly those Kurdish sacrifices when in 1996 he asked the central government of Baghdad to aid him in pursuing his rival Jalal, another warlord and Peshmerga (now Fakhamat Al Raiees). The latter, as the President he would not sign the death penalty on convicts of the past regime due to human values, but he also forgot the ‘mass graves’ he quotes between time and time. He brags that the Assyrians have seats in the Kurdish Majlis with high representation than their proportional figures permit but forgot to mention the ethnic cleansing committed by the Kurds against the Assyrian Christians since the start of their revolt in 1961. Village after village was taken by the Kurds while their Assyrian inhabitants with no other option but to leave for Nineveh plain, Mosul and even Baghdad. The peace in the Kurdish controlled lands is a myth and is contrary to the Kurdish tribal mentality. Pursuing the nationalistic Kurdish slogans for the time being seems to serve the Kurdish politics but this is only a prelude, because many Islamic nations came into existence with patriotic tones, just to disappear a few decades later. Take the examples of Pakistan, Bangladesh, Indonesia, Egypt, Sudan, Baghdad, Iran, Palestine (Gaza and West Bank) and even Turkey which turned Islamic and thus abandoning the patriotic platforms. This will happen to the Kurdish politics as well, it is just a matter of time. The Kurdish leadership is obsolete; it needs shuffling and adoption of a prudent dialogue, give and take, with the parties involved within and without. It has to renounce the militant and tribal tendency of the guerrilla warfare, a culture of rifle and Kalashnikov. This means that the old guards and the current Kurdish leaders have to quit politics and allow younger generations to take over who are better acquainted with modern world culture and more educated than the generation of ridge fighters of the 1961. The old guards are warlords and their hands are stained with innocent blood. The Assyrians promote a solution that is simple and is a ‘two-state solution’, the Kurds to the east and the Assyrians to west and we both can live and work side by side as neighbours for the sake of our own peoples. The Kurds have to stop patronising because we are just neighbours and the existence of a few renegades can not and will not speak for the entire Assyrian nation. In a ‘two-state solution’ we will have Assyrians living under the Kurds and in the same way Kurds living under the Assyrians. Once the Assyrians have had their territorial autonomy between the Tigris and upper Zab, they will work to establish a democratic, free and advanced society where all its citizens of various ethnic and religious backgrounds will participate in the structure of that nation, bottom and top. Then Assyrians living abroad will return using their wealth and expertise to build a prosperous and giant nation- a ‘Silicon Valley’ in the backward Middle East. "I'm Middle Eastern and I am scared of terrorists," says Vincent Ouchana. "My father looked like Mohammed Atta. Imagine living with him." Born in Yonkers, New York, of Assyrian heritage, Vincent Ouchana was already making people laugh by the age of three. The once scrawny and hyperactive kid found himself being the center of attention at all family functions. In school he was always the class comedian and eventually won several high school talent contests with stand-up comedy routines and appeared in numerous plays. At the age of 19, he felt the call of duty and joined the United States Air Force. While in the Air Force, Vincent received numerous medals for meritorious service and became one of the top 10 marksmen on the USAF Shooting Team. While deployed in Iraq, Vincent found a way to get on stage and entertain his fellow troops during USO tours. After his honorable discharge from the Air Force, Vincent moved to Los Angeles to pursue his dream of being a stand-up comedian. Vincent has entertained audiences in New York, Connecticut, South Carolina, Montana and California. Currently, he is living in Burbank, California and attending the world famous Groundlings School of Improv.